When you are waiting on God and it is truly your heart’s desire to hear from Him, in the midst of life and all the hustle and bustle, we have to put ourselves in a position of discernment to be able to slow down, be still long enough to hear that sweet, small voice that has your destiny and purpose attached to it. 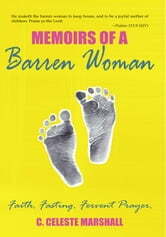 In an inspirational story about steadfast faith and the power of fasting, C. Celeste Marshall recounts her ten-year journey to become a mother. Celeste put her trust in God that He would fulfill His promise, despite what doctors said. In December of 2012, that promise was fulfilled. 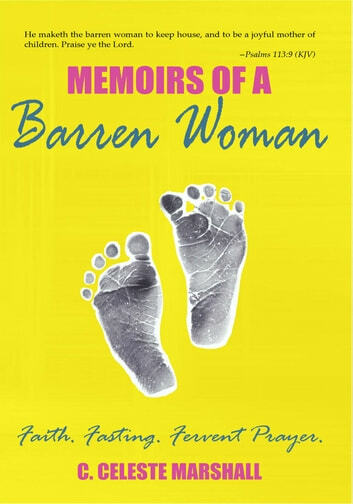 Whether you are praying for an unsaved loved one, a dream that seems impossible, a marriage that seems broken beyond repair, or something so personal that only you and God know, Memoirs of a Barren Woman is a story that will build your faith as you wait for your own divine miracle from God.